All information, trademarks, logos, graphics, videos, audio clips, links and other items appearing on this website ('Information') are for reference only and is subject to change at any time without prior notice and at the discretion of Taste • Gourmet Group Limited (hereinafter 'the company', 'us', 'we' or 'our'). Whilst Taste • Gourmet Group Limited endeavors to ensure the accuracy of the Information on this website, no express or implied warranty is given by Taste • Gourmet Group Limited to the accuracy of the Information. Taste • Gourmet Group Limited shall bear no responsibility for any incorrectness or leakage. Taste • Gourmet Group Limited shall not be liable for any damages (including but not limited to computer virus, system problems or data loss) whatsoever arising in using or in connection with the use of this website by any party. There may be links in this area, which allow you to visit the websites of other companies. These websites are not controlled by Taste • Gourmet Group Limited. 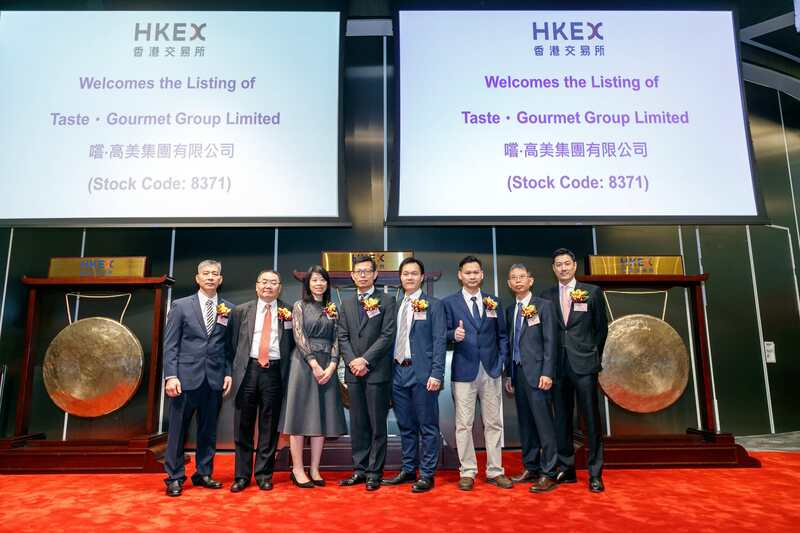 Taste • Gourmet Group Limited will bear no responsibility and no guarantee to whatsoever Information displayed at such sites. Hyperlinks to other websites are at your own risk. All Information in the website is the exclusive property of Taste • Gourmet Group Limited, and it is under the protection of intellectual property laws and rights (including without limitation laws protecting copyright). Unauthorized use of any Information in the website is an infringing act under the laws and rights. All Information (in whole or in part) of the website may not be used, copied, sold, transmitted, modified, published, stored or otherwise exploited, for any purpose without our express consent. In no event shall Taste • Gourmet Group Limited be liable to you or to any other party for any loss or damage whatsoever or howsoever caused directly or indirectly in connection with your access to or use of this website, the content thereon or any goods, materials or services available therefrom, whether based in contract, tort and whether negligent or otherwise. Without limiting the generality of the above, under no circumstances shall Taste • Gourmet Group Limited be liable for any incidental, special or consequential damages including without limitation any loss in profits, business interruption, loss of business information or any other pecuniary loss, personal injury or death that result from your access to or use of this website. You agree to defend, indemnify and hold Taste • Gourmet Group Limited harmless from any losses, claims, liabilities, damages, demands, costs and expenses (including all legal fees), incurred or suffered by us in connection with or arising from your breach of the Disclaimer and/or your use of our websites or services. The Disclaimer contained in the website shall be governed by and interpreted in accordance with the laws of Hong Kong Special Administrative Region. You agree to submit to the non-exclusive jurisdiction of the Hong Kong Special Administrative Region courts. Taste • Gourmet Group Limited reserves the right to update the Disclaimer at any time with or without prior notice, all changes are effective immediately upon posting to the website. You are hereby invited to check the Disclaimer each time you visit the website. Your continued use of the website thereafter constitutes your agreement to all such changes. If there is any inconsistency or conflict between English and Chinese version of this disclaimer, the English version shall prevail.